Sun may not be a word we hear or see a lot of during the frigid winters here in the Kansas City area, but we promise that will change in just a few short months. 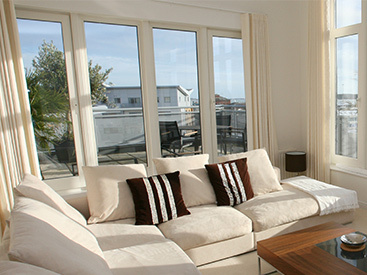 So why not take these cloudy months to prepare your home for the sun’s grand return. Adding a sunroom to your Kansas City home allows you enjoy the warm sun’s rays under your terms and conditions. These climate-controlled rooms flood your home with natural light, and allow you to enjoy more of your home’s living space year round than a typical screened in porch would. 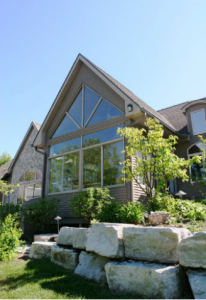 Here are the two main types of sunrooms Blue Springs Siding & Windows can install and why our sunrooms beat out the competition’s every time. These types of sunrooms add an old world charm to your home while allowing you to bask in the natural light. 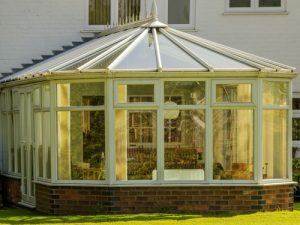 Conservatory sunrooms have a segmented roofing system that really sets them apart. 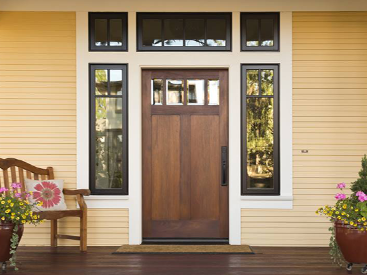 They are great for homes that already have a traditional or vintage flair to them. This style of sunroom is composed of a roofing system with a center beam in the middle of the roof, and the roof panels sloping down on either side, like the shape of an A. Gable sunrooms also give added height to the room, which enlarges the space. Our sunrooms are different than the type you’ll see at other dealers. 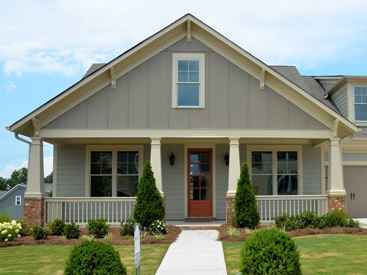 Blue Springs Siding & Windows is the exclusive Crown Dealer in Kansas City. We are the only place you can get all vinyl and wood composite frame sunrooms. Unlike other types of sunrooms, with Crown sunrooms, you actually put nails into the frame, allowing you to add matching siding to parts of your sunroom so it looks like an extension of your home, not some out-of-place structure. You won’t see this feature anywhere else. If you’re interested in installing one of our exclusive Crown composite sunrooms onto your home, call the sunroom experts at Blue Springs Siding & Windows at (816) 463-8750 or (913) 631-2200.